Demand for investigation after demonstrators shot protesting against copper smelter pollution in southern India. Rights groups and residents demanded an investigation after police in southern India opened fire and killed at least 11 people during a protest over alleged environmental pollution by a UK-owned copper smelter. 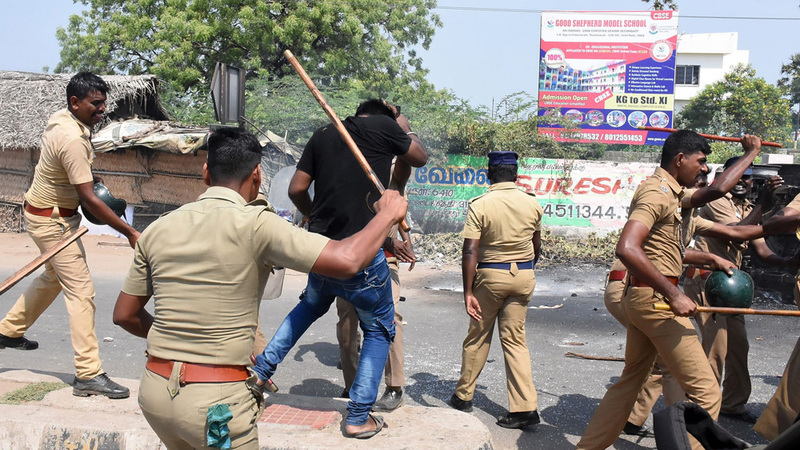 Tensions were high in the Indian city of Thoothukudi on Wednesday after the killings of demonstrators a day earlier by police officers who also wounded dozens of others. Local media reports said another protester was killed on Wednesday and 22 people were arrested for blocking roads. 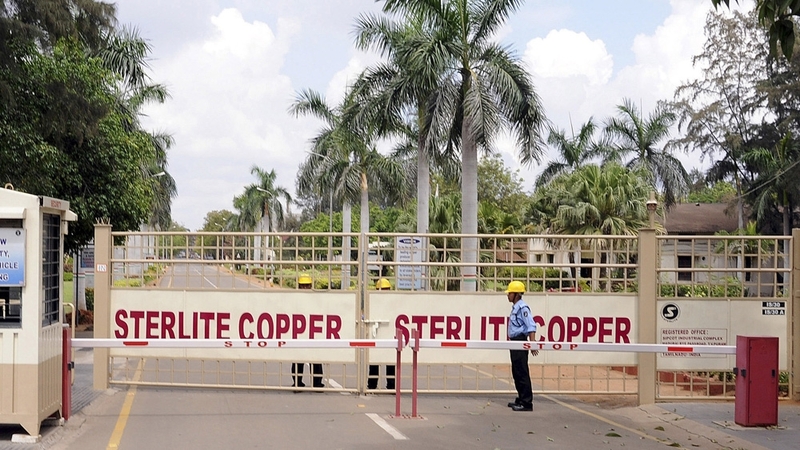 Demonstrators are calling for the closure of the copper smelter in Thoothukudi run by one of the biggest mining corporations in the world, London-based Vedanta Resources, over alleged environmental contamination by its Sterlite Copper plant. “Relatives of the people who died went to the hospital but refused to take back the dead bodies of their loved ones till the factory is shut down. The police also beat up these people today,” Prince Cardoza, a resident of Thoothukudi in Tamil Nadu state, told Al Jazeera. “What happened yesterday was premeditated murder. The cops came armed to kill. When they fired, they shot to kill,” said Nityanand Jayaraman, an activist who has closely tracked Sterlite Copper’s work in India. The government said “violent” protesters set vehicles on fire and threw stones at police as they tried to attack the office of the local administration. Several officers were reportedly wounded. The top human rights body of the country, the National Human Rights Commission, on Wednesday demanded an investigation into the killings. Tamil Nadu’s Chief Minister Edappadi K Palaniswami said police opened fire “under unavoidable circumstances”. Witness accounts on social media sites uploaded images of the police crackdown. Police at the Sipcot station confirmed the death toll of 11 with about 70 wounded, but would not comment further when contacted by Al Jazeera on Wednesday. Thousands of residents have taken to the streets and shut down businesses for months in Thoothukudi to protest against the proposed expansion of Vedanta’s Sterlite industrial plant. Residents and activists in the port city say the smelter poses serious health risks with emissions polluting the air and water. Vedanta earlier dismissed the concerns as “false allegations”. Also on Wednesday, an Indian court issued an order to halt the proposed plant expansion. The facility has been shut for more than 50 days and will remain closed until at least June 6 as it awaits an expansion permit. “It’s with great sorrow and regret that we witnessed today’s incidents around the protest at Thoothukudi. The company has appealed to the government and authorities to ensure the safety of our employees, facilities and the surrounding community,” the Vedanta Group said in a statement. The company did not respond to an email from Al Jazeera seeking further comment. “There was widespread concern among the residents and the fisher folks in the region about the copper smelter creating pollution. How was such a large hazardous industry located so close to a residential area without public consultations?” Jayaraman said. Activists point to studies showing high rates of respiratory disorders and other health problems in communities near plant sites with high levels of lead and fluoride.